I was glad to get a score of 420,521,550 with Ikuo in Ver 1.01 today, which meets my goal of getting the #1 spot on the xbox live rankings with Ikuo (though who knows how long that will last). The replay is on Xbox live, so you can check it out if interested. I had 224 million in the first loop with one chain break. Decent second loop, though there were quite a few chain breaks and I didn't score well on a few bosses and midbosses. Theoretically with fewer mistakes I could do 430~450million, though I am not sure I will bother, since Ver 1.01 runs take so much time (over an hour for each credit), and there are so many things that can go wrong, ruining a good run. I'm quite satisfied with this score and anything higher than this would just be icing on the cake for me. I think I am now done with Ikuo in Matsuri Ver. I had what is essentially a perfect run (for my patterns), ending up with a score of 261,707,640, which meets my goal of 260+mil. While in hindsight there were a few spots here and there I could have milked for a few more million, I got rather lucky with the boss patterns I was given in this run (including the last Pink Sweets boss, who gave me the bullet spiral pattern at least 4 times) and there is so much randomness in a Matsuri run that having it all come together and executing your patterns properly when it happens is very difficult. I put the replay up on Xbox live, as I don't think I'll be able to do much better than this and I'm very happy with my performance overall. Now that this is done, I am going to go back to Ver 1.01 with Ikuo and try and get the top spot on the xbox live rankings (I'm currently about 10 million away). My ultimate goal is 430+ million. After that, I will probably go back and try and improve my Momo or Rafute scores. 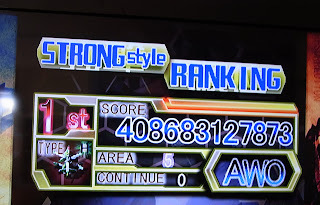 I've been dabbling with Ikuo in Ver 1.01 this past week, my best 2-ALL score is 398,289,650. I scored 215 million in the first loop with a couple chain breaks, which is a bit sub-par for me (I'm aiming for 230 million). The second loop was a complete mess, I had at least 8 chain breaks. On a related note, I decided to give Ikuo a whirl in Ver 1.00's Harahara mode, and I got a score of 114,898,820 with my first credit. I gameovered in the section right before the first midboss, but I had two careless deaths in stage 4 and one in stage 1, so I am thinking I could clear it. It is a good deal harder than 1.01's Harahara (which is also the second loop in a regular 1.01 run), but I think it's still doable. We'll see. I had previously gotten a score of about 90 million in this mode with Rafute, but I think it would be easier to clear with Ikuo or Momo than with Rafute (for me, at least). My reasoning for this is that it's easier to survive the first few stages with Rafute due to her long-duration bomb and quick speed, but it's harder to score with her, which means you have fewer lives to play with (which means it's harder to survive the later stages). In Harahara, you need every extra life you can get. I gave Ikuo one more credit, and met my goal of 250+mil with a score of 251,996,170. I had a stupid chain break in Stage 5 (again! ), and I didn't score on the Stage 3 midboss or the second phase of the stage 4 boss. These mistakes cost me at least 10 million. Otherwise, things went fairly well. New goal is 260+mil. 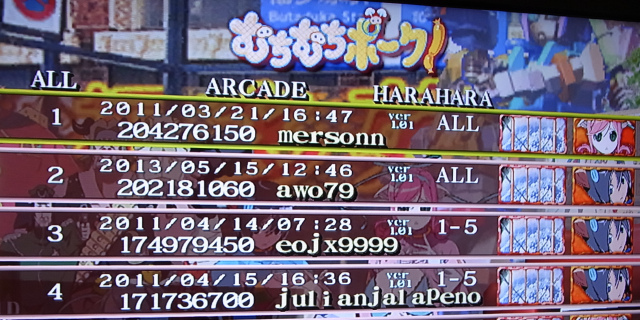 I managed to get the top score with Momo in Matsuri Ver on the xbox live rankings with a score of 243,356,550. 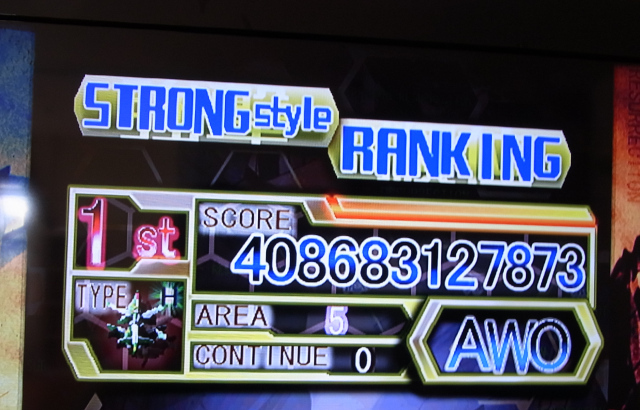 I also increased my Ikuo PB to 248,109,010, which is just a bit short of my goal of 250+mil. Both runs had chain breaks, 1 in the Ikuo run (in Stage 5) and 2 in the Momo run. 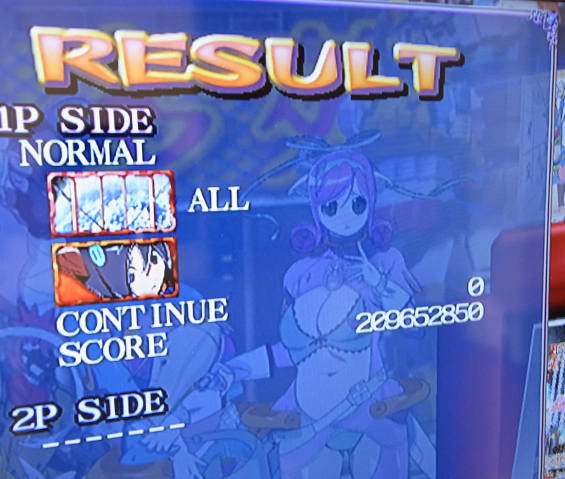 I had a few other costly mistakes in both runs, though more in the Momo one. In the Ikuo run I had a poor stage 1 (ended with 27 million, I've gotten as high as 32.4 million in other runs), so now I can see 260+mil as possible for me with a perfect run. I'm not sure I could score that high with Momo, but I'm pretty sure I will be able to do 250+mil with her at some point. I'll mark that as my new goal, anyway. I decided to try Momo in Matsuri Ver again and shoot for the #1 spot with her on Xbox live, as I have the #1 spot with both other characters. My best score today was 237,248,350, which is about 5 million shy of the top score. My previous PB was 223 million, so this was a nice increase for me. I screwed up the last phase of the Stage 4 boss as well as the second stage 4 Pink Sweets boss. Stage 5 was also below average. I ended Stage 2 with about 61 million, which is probably my best to date with any character, so that was one of the highlights of the run. Anyway, I'll keep working on it. 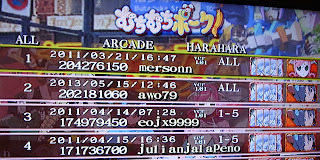 I had time to sneak in a few more credits, so I played Matsuri Ver with Rafute. I was happy to get a new PB of 220,233,910, which is about 10 million more than my previous PB. This run had two major errors, costing me about 6-8 million total: I failed to score on the Pink Sweets boss at the end of Stage 2 (3-4 million loss), and I failed to score on the first Pink Sweets boss in Stage 4 (3-4 million loss). There were some minor errors scattered throughout and less than optimal scoring on some bosses as well. But otherwise, most things went pretty well, so I uploaded the replay to xbox live. My goal with Rafute in this mode is now 230 million. Today I decided to go back to Rafute in Ver 1.01. I only had time for one credit, and thankfully I got a new PB out of it: 371,143,800. I don't usually upload my replays because they're either full of embarrassing errors or not optimal scoring runs, but I did upload this one because the run went well outside of a few chain breaks (some are quite embarrassing, but whatever), and I thought it would be nice to showcase some of the techniques to score well with Rafute, since there are no really high scoring videos with her in any mode (except Arrange). My first loop was a bit sub par, ending with about 186 million. I usually get over 190 million. I can see a potential max of about 390 million with my current patterns if there are no chain breaks and I score on all boss phases. More tweaks (especially in 2-2 and 2-3) and a better first loop could push it over 400 million. I got so close to my goal of 210+ million today, and yet still so far away, with a new PB of 209,652,850. Very few errors in this run, and I scored on all phases of the last boss. From here on out I need to work on tweaking patterns, and in some cases, developing new ones. However, I'm feeling a bit burnt out on 1.00 so think I am going to take a break from it for awhile and play other modes (and/or other games).